Love flowers and this is no exception. 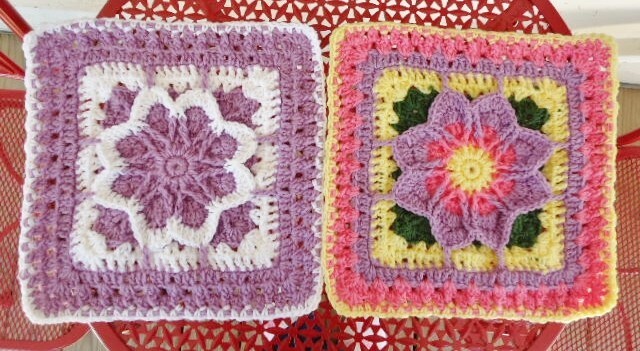 The center flower in this flower blossom granny square pattern is gorgeous and it stands out beautifully.This square is fun and has lots of color potential. This pattern is very beautiful and also challenging, you have to concentrate on and pay attention to stitch counts. I love seeing the different colors everyone is using on their squares. Here are some gorgeous combinations to get you inspired. This pattern called Fall Blossom and designed by Aurora Suominen, Amy Carlson and Kathy Joelsen requires a more advanced crocheter level as some of the stitches are a bit challenging.There are also five short video tutorial explaining the written pattern. Watch the tutorials, follow the pattern and it will all come together. Thanks to Aurora Suominen, Amy Carlson and Kathy Joelsen for the article inspiration and featured image. Thank you so much for sharing. Beautiful pattern! So beautiful in all its different color combinations. 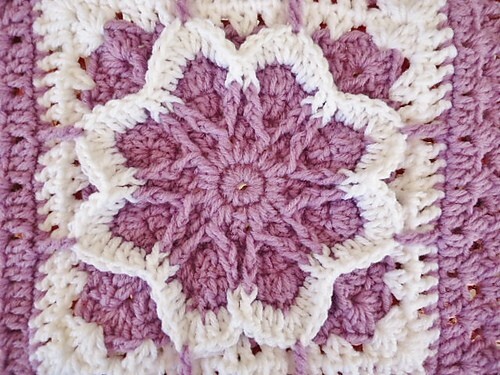 I LOVE this pattern (Flower Blossom Granny Square) but I cannot find the instructions! How do I get them??? Sherry Judice Langlinais , look how seet this is . It’s a free pattern but I can’t find it. Where is the pattern?? I don’t see it anywhere! Gloria, please click on the words: Fall Blossom (one line under, the name of the pattern followed by the designer’s name) to get to the pattern’s page. “This pattern called Fall Blossom and designed by …. How do you get the pattern???? Beautiful!! How do you get the pattern?? ?